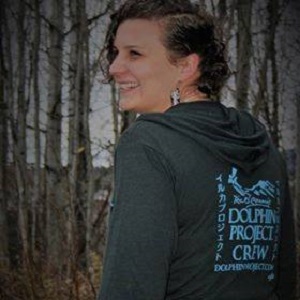 From life in Timmins to volunteering on her vacations to help expose the slaughter of dolphins in a cove in Japan. That sums up the passion of 31-year-old Kelsey MacDonnell. She works with a non-profit organization that shoots video and photos of dolphin hunters herding the marine mammals into a cove, then selecting them for captivity to be performers around the world. There isn’t a lot of demand for dolphin meat, but MacDonnell says some of it is passed off as whale meat, a Japanese delicacy. MacDonnell became interested in the work ten years age, when she saw a documentary about the cove. MacDonnell is looking for local support for the organization she volunteers for. You can find more on her Facebook page and contact her via email, swimfreedolphins@gmail.com.